I found an old Sambal Ikan Bilis recipe from the recipe book I used for Home Science in school. 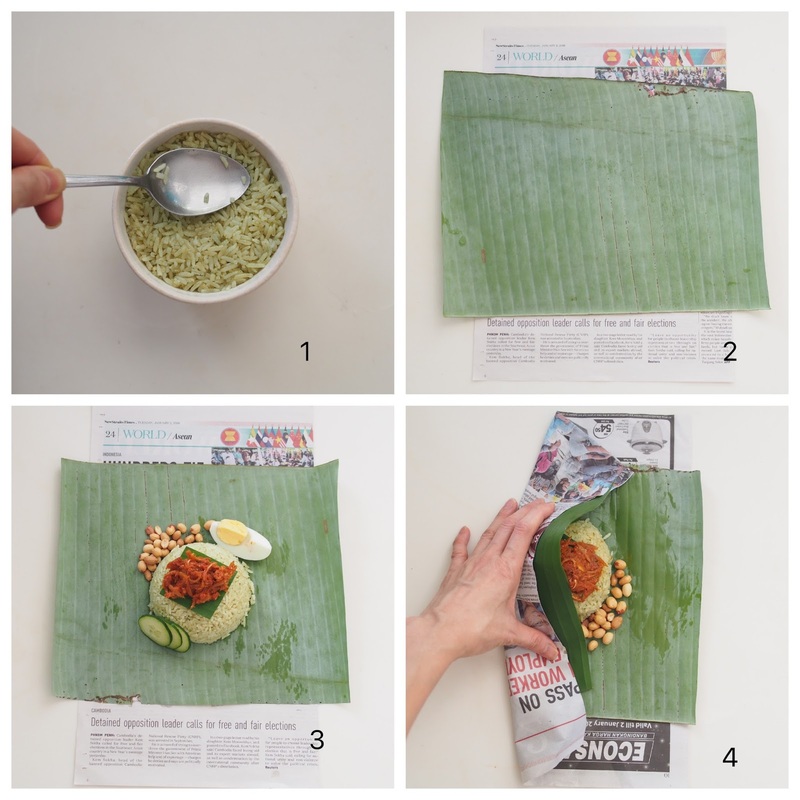 The taste reminded me of the traditional nasi lemak I grew up with. I tweaked the recipe a little by adding pandan juice with the coconut cream to cook the rice. 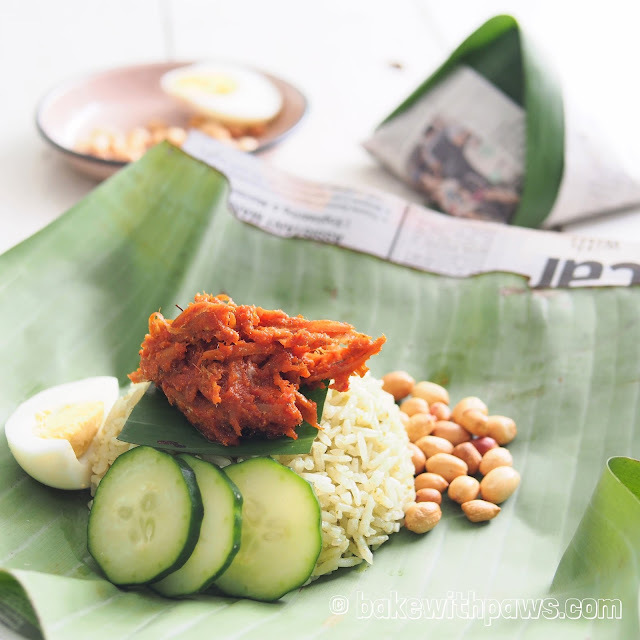 I steamed the rice instead of cooking in rice cooker and we call it Nasi Lemak Kukus in Bahasa Malaysia. 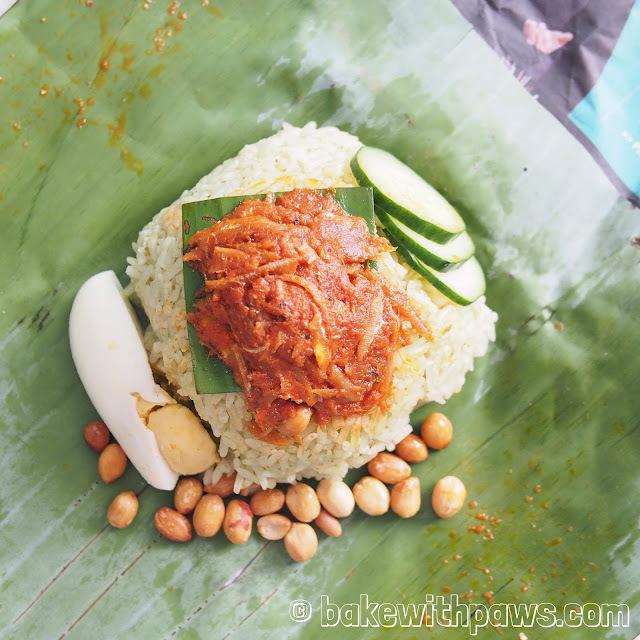 The combination of coconut and pandan blends rather well and the savoury sweet fragrance of the piping hot rice is truly delicious. Blend the pandan leaves together with water in a food processor until fine. Squeeze out the juice through a sieve. Place all the ingredients in a steamer bowl or tray and steam for 40 - 50 minutes. Then fluff up the rice with a fork or chopsticks and keep the rice warm in the steamer. Coated Ikan Bilis with very little oil and fry with Air Fryer until crispy and golden brown (160C for 10 to 15 mins). Set aside. Heat cooking oil in a wok, add paste ingredients and stir fry till fragrant. Add some water and asam jawa juice. Then add in fried ikan bilis and add salt and sugar to taste. Simmer in low heat and cook until liquid is slightly reduced. Add more water if too dry. Layer the banana leave on top of the newspapers. Press the steamed rice into a rice bowl. 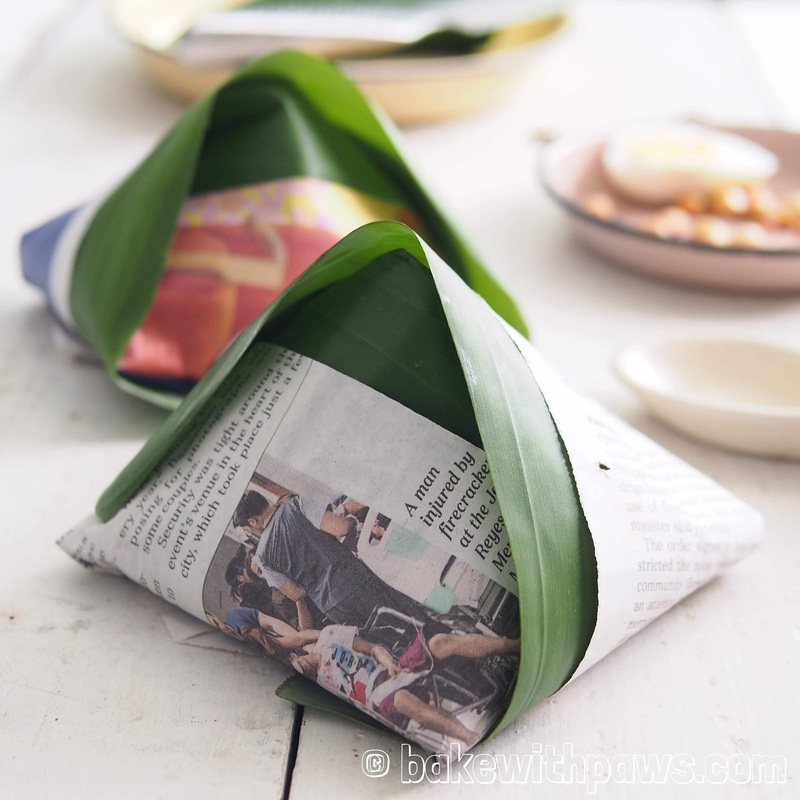 Invert the bowl and place the rice on the middle of banana leave. Place the small piece of banana leave on top of the rice and scoop some sambal ikan bilis on top. Garnish with roasted peanut, quarter egg and slices of cucumber. 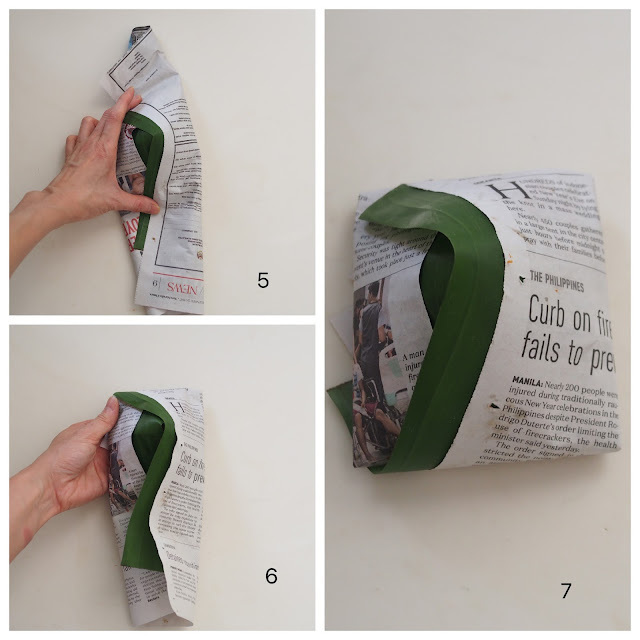 Wrap the rice as per the below pictures.